Bollywood has seen the linkups and breakups of many star couples but there have been some love stories that have become evergreen such that their examples are given. Even though these stories have not had a happy ending but still the couples are remembered for their story and one amongst those is the story of Rekha and Amitabh Bachchan. Bhanurekha Ganesan, as her real name goes stepped into the Bollywood industry when she was just 14 years old and ever since she has been appreciated for her acting talent and her beauty. Now too, the actress has carried herself so gracefully that she does not look a day older and looked the same as she was 20 years back. There is no doubt in the saying that she surely was and is one of the most controversial actresses and the topic of discussion amongst the media as well as her fans has always been her personal life. There is one thing about which everyone is curious to know and it is the reason why she wears a sindoor on her forehead despite being a widow. Everyone knows what was the scene between both the stars and how they had to separate with each other when BigB got married to Jaya Bhaduri. It is said that during the shooting of 'Do Anjaane' it was Rekha who fell in love with the charming personality of Amitabh and fell in love with him. 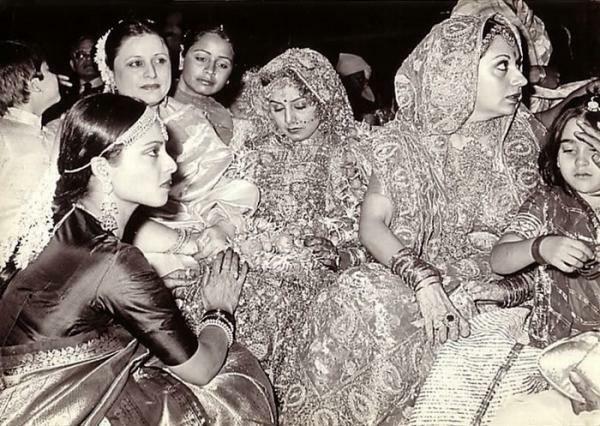 It was during the wedding reception of Rishi Kapoor and Neetu that Rekha made a surprise entry into the party with a sindoor that grabbed everyone's attention and it was then people started talking about her hidden marriage with Amitabh. But when she was asked about the same, she gave a very different answer to the same and said that she has put it because it looks good on her. 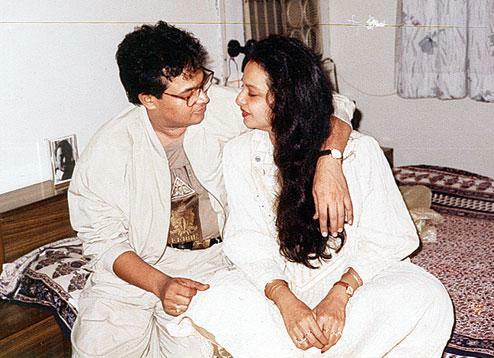 Rekha could not get any official name to her alleged relationship with Bachchan and it was then when she tried to settle down with Mukesh Agrawal, the industrialist but she was again left alone when he died all of a sudden and after that Rekha decided to stay alone all her life. But the strange thing was even after her husband's death, she did not stop putting sindoor that put people into confusion as to why she does that even after turning a widow. Even Puneet Issar's wife Deepali, once said that Rekha does that for a person whom she loves and respects a lot and it is none other than Amitabh Bachchan. Well, no one exactly knows what the reality is but there's nothing wrong in the saying that true love never dies. ALSO READ: What Fanney Khan actress Aishwarya Rai said about Race 3 star Salman Khan and their breakup will break your heart! Who is 17-year-old Dimitrios Pagourtzis, the Texas Shooting Suspect?